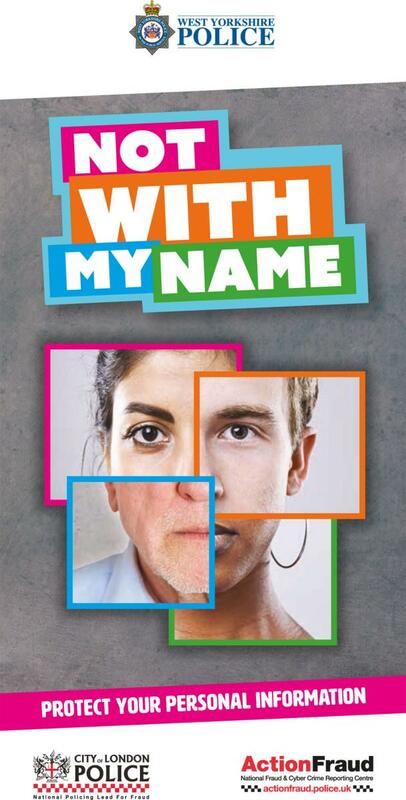 The ‘Not With My Name’ campaign, produced in partnership with the City of London Police (National Policing Lead for Fraud) is targeting identity crime in our communities. 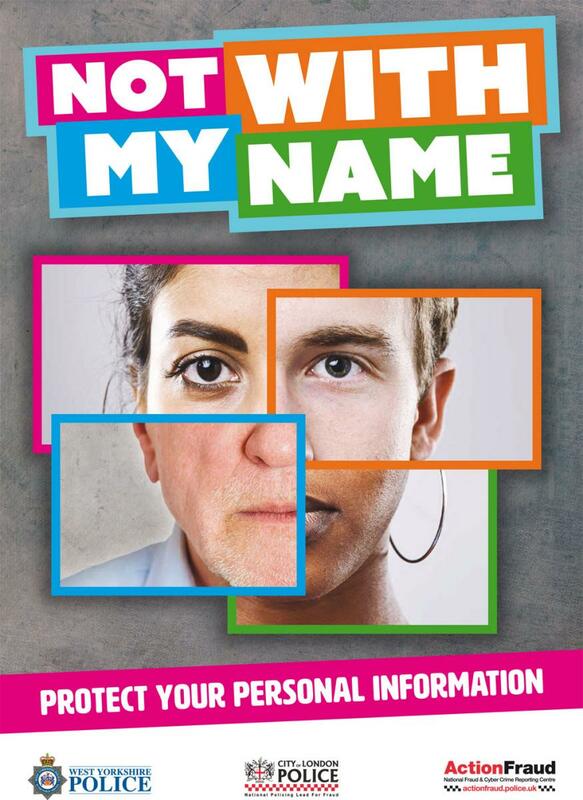 To combat this rising threat the ‘Not With My Name’ campaign will be highlighting advice focused on helping people protect their personal information. This will include pointers on creating safe passwords, protecting internet devices, dealing with unsolicited phone calls and emails, and safely storing and disposing of mail. 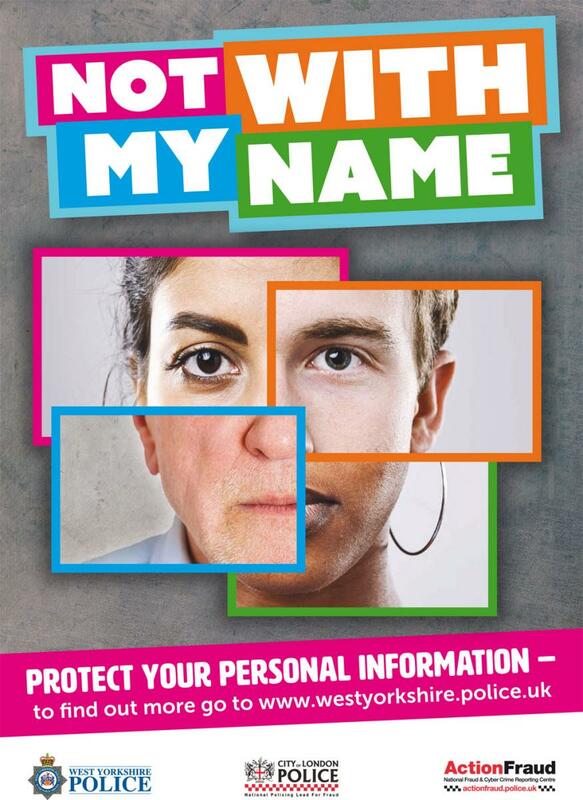 Be careful who you give your personal information to....and how. Make it as difficult as possible to crack your passwords. Don't respond to unsolicited phone calls or emails. 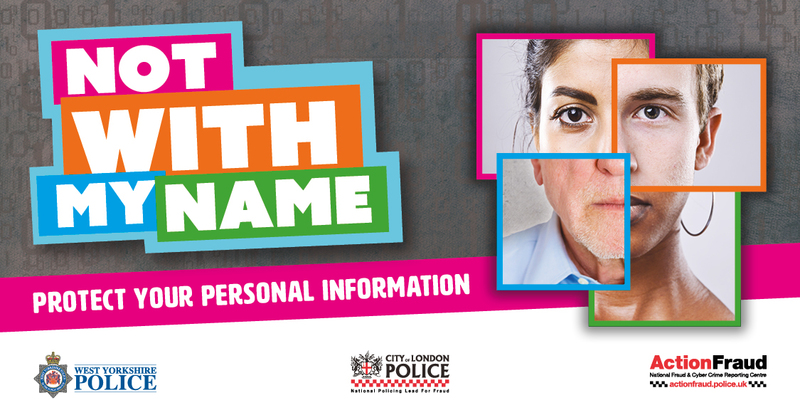 More crime prevention advice on fraud can be found here.